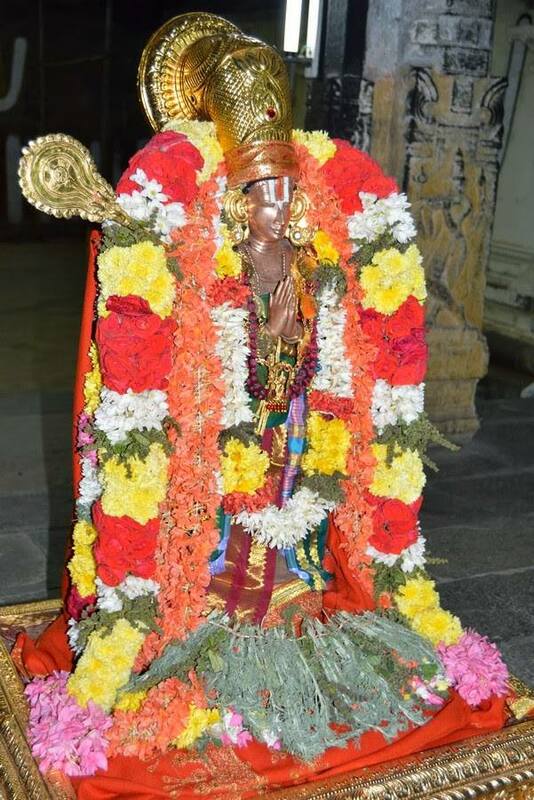 thirukkachchi nambi have mercifully written a beautiful samskritha sthOthra prabandham named SrI dhEvarAja ashtakam (8 SlOkams) which brings out the glories of dhEvap perumAL (SrI varadharAja) who is the divine consort of perundhEvith thAyAr. nyAya vEdhAntha vidhvAn dhAmal vangIpuram srI u vE pArthasArathy aiyengAr swamy has written a simple thamizh translation for this wonderful prabandham. We will see the English translation of the same here. English Translation of SlOkams by vangIpuram satakOpa rAmAnuja dhAsan. This entry was posted in dhEvarAja ashtakam, Other on December 7, 2015 by Sarathy Thothathri.